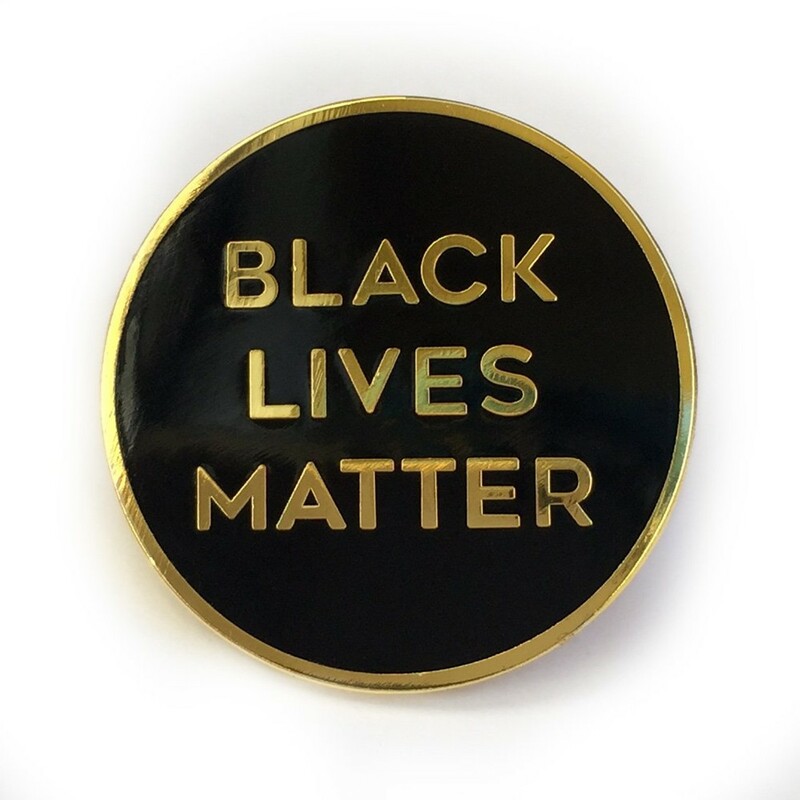 Last week, the Humboldt Bay Fire District Joint Powers Authority told firefighter Matt McFarland after a hearing that he can't wear a small Black Lives Matter pin on his uniform. McFarland may just want to wear that pin, but the rest of us need him to. This is for all of our safety. I live in Eureka but, in 2001, I moved from Chico to San Francisco to become a poverty lawyer. My thinking then on the subject of race wasn't complex. I was aspiring to "color-blindness," believing it necessary to overcome our country's awful history of racial division. But this changed when I began working with very poor people. At law school, I would mingle with overwhelmingly white judges, lawyers and students at my school's social events while enjoying champagne, grilled prawns and vast platters of savory morsels. Then, when it was time for my volunteer shift, I would step outside that lovely little bubble and cross the street to meet with my homeless clients. It was a different crowd. Many had profound psychiatric impairments that impeded everything they tried to say or do, in addition to physical ailments ranging from chronic immune disease and severe seizure disorders to literally rotting limbs. Nobody in the crowded lobby where they waited had access to grilled prawns. Many didn't have access to food. They were primarily people of color. The color line represented in that neighborhood — white privilege, black and brown poverty — bothered me. It still does. It should bother you, too. After law school, I worked for several years at a nonprofit in San Jose, where my vulnerable clients often sobbed their way through interviews explaining the cold hard facts of their lives: vicious abuse, terrible losses and the hectic uncertainty of trying to survive poverty in a country without a real social safety net. One client asked me to help extricate her from a difficult housing situation. And then her ex set that house on fire with her in it and she was dead. The color line persisted. It became impossible not to notice segregation and inequality, usually legal, nearly everywhere I looked. In housing. In employment. In civic life. My work often took me into local hospitals and the jail, and it was obvious there, too. Some contexts were more dramatic than others, and the divisions weren't limited to black and white. But white people like me had disproportionate power and wealth. We were still predominantly in charge, even where, as in San Jose, we were in the minority. I sought out skilled local leaders of color to learn what to do. Retired Judge LaDoris Cordell, one of the first African-American women to serve on the bench in California, hired me when she was newly appointed as San Jose's independent police auditor. We were civilians and we didn't work for the police. Our job, roughly summarized, was to do what we could to prevent a Rodney King-type situation in San Jose. Do you remember Rodney King? If you do, it's because it was the first time a bystander's video footage of police violence against an unarmed African-American man went viral. It was 1991, and the footage showed white officers beating the snot out of Mr. King, and then Los Angeles burnt for six days during the riots that erupted after the officers were acquitted. More than 50 people died in those riots, thousands more were injured, and 10,000 businesses literally went up in smoke. That event birthed the civilian police oversight movement. I wish every white voter had a chance to learn what I did in that job. My own interactions with police had always been positive but I learned that many people felt unsafe asking law enforcement for help because they were likely to hurt you or treat you unfairly. It was rare that I heard this from white people, except the disabled. But I heard it frequently from community members of color, this visceral fear among law-abiding people. This can be hard for white people like me to understand but it is true. It was as if our most vulnerable neighbors didn't see a badge pledging honor and service when they saw police uniforms. Instead, where I saw a badge, they saw an invisible button. And the button said: "Your life doesn't matter because you're not white." Imagine the fear of living every day believing that, even if a criminal hurts you, police involvement will likely hurt you worse. You might even turn to extra-legal strategies like vigilantism to protect yourself, such as joining a street gang. I thought back to my client who'd been murdered. She was Latina. Had she felt safe asking for help? Some people will say, can't you just point out to these folks that most officers aren't racist, that they're good people who try really hard? Unfortunately, no. First, as many of us have experienced in this modern political climate, simply telling people they are wrong about their perception of reality is not always an effective way to change minds. Researchers describe the so-called "backfire effect," in which people tend to double-down on closely held beliefs when confronted with facts that contradict them. In other words, arguing the facts can make them harder to hear. But also that color line, which many people have noticed and thoroughly mapped, is awfully suspicious. And we're now witnessing frequent bystander videos like the one that introduced us to Mr. King back in 1991, images of people in uniforms hurting and killing black and brown people in shocking and disturbing ways. Our justice system still seems to have no answers for any of it. And riots still sometimes follow. How can all this not, frankly, affirm the suspicions of many, including an increasing number of white people like me, that something is deeply wrong? Perhaps we all are, in fact, living together — whether we mean to or not — in a white supremacist culture? And how on Earth is a well-meaning first responder supposed to do his or her very hard job in this context? A true public servant, like McFarland, wants to make sure the public sees that badge pledging service, rather than the invisible button that says only some deserve protection. That's why, as a white man, McFarland fought to wear a Black Lives Matter pin on his uniform. He's often mistaken for a police officer and wanted to clearly communicate good faith to vulnerable people so he can do his job well. Humboldt, we need this for him and his public safety colleagues, too. We need them to signal that the brutality of the past isn't their own. And to live that way, too. If we want more violence, then, by all means, let's keep arguing about whether peoples' fears are legitimate, make sure society is run by bullies who insult everyone whose lived experiences are different from their own and dismiss perspectives that are hard to hear. 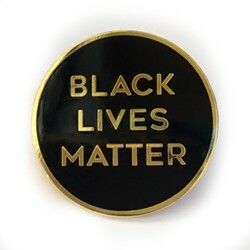 Or we can embrace the intrinsic value of human life, reflected in the statement Black Lives Matter. The founders of the movement are getting this year's Sydney Peace Prize, recognition all the way from Australia. We should also honor their work here. This is the paragraph where I have to expressly state what some readers will be straining to hear. Yes. White lives, and police lives, and firefighter lives matter. For the thousandth time, yes. You matter, my fellow white people. But if you're like me, you already knew that. You grew up knowing that, because your culture reflected your value back to you from every direction. Because you are white. Not all white people are equally privileged. Poor lives matter, too, and some white people have led very hard lives. But this reflexive insistence on "all lives" or "blue lives" whenever someone says "black lives" is whistling Dixie amid hundreds of years of targeted violence against black people. Who was chained to slave ships, made to work under the whip without pay, and forced into centuries of systemic persecution designed to silence and marginalize them, right up to the present generation? Black Americans. Not whites or police. 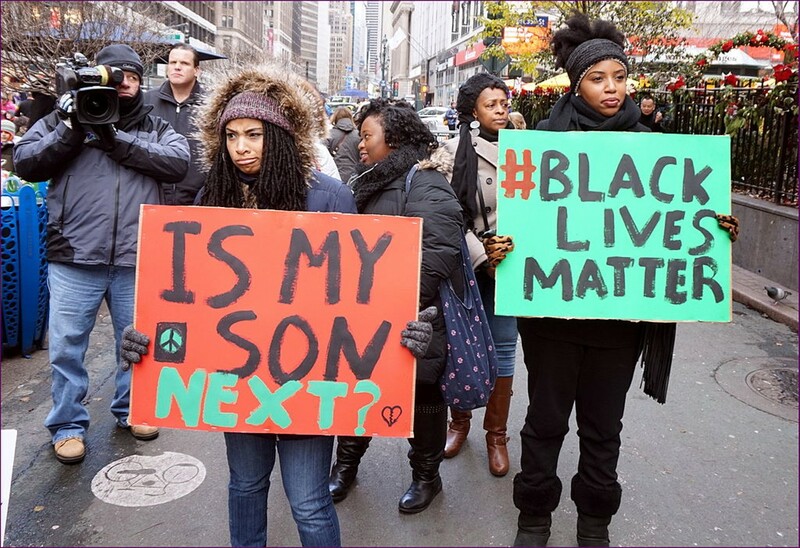 Might it now be appropriate, in light of this history, to spotlight the value of black lives for a change? Justice goes deeper than legality. Fairness, not laws, prevents riots. It's terrible for everyone's safety when law enforcement is not trusted. It hamstrings and endangers our officers. Witnesses don't come forward. Crimes go unsolved. Criminals cause more harm. And communities and individuals suffer when they ought to thrive. What our brave first responders must do to confront this problem is to proudly demonstrate that black and brown lives matter, every day, in every way they can. It's not hard, really. Wearing a button to that effect is, frankly, the obvious and professional place to start. Brenna Silbory is a writer, survivor of chronic illness and recovering attorney. You can read more of her work at www.flourishingedge.com.